Why bother using a fork when you've got hands? 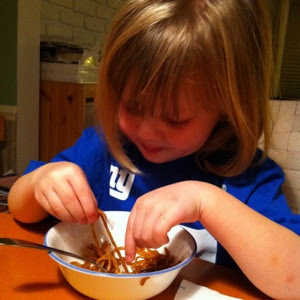 They certainly work better for lo mein than a fork does! I have dreams of Ana, one day, using utensils for an entire meal.